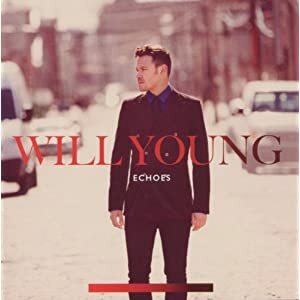 2011 had its musical moments and Will Young’s “Echoes” was definitely one of those shining moments. We did not give it its due in terms of an official review on this blog in 2011 but better late than never right? This album is chilled, understated and delightfully indulgent to listen too. I like to review albums on a track-by-track basis but this album definitely lends itself to being listened to as a ‘whole’ since it isn’t a typical pop star album wherein four tracks are marked out as singles and the rest serve as nothing more than “filler”. Check out the track-listing below then please read my conclusions at the end of the article. Jealousy – This is the album’s lead single and a great choice too. It showcases powerful lyrics and a powerful vocal performance from Will. Its music video is excellent. Come On – A gentle track on one level but Will’s urgent vocals add another level to this track and it is currently one of my favorites from the album. Lie Next To Me – Will does a nice play on words here! Actually it’s a sad song about Will seeing an ex and wanting him to just spend some time with him to settle his anxieties. Will’s vocal range is impressive on this track. The way he sings ‘again’ is amazing (you’ll have to listen to see!) Definite single contender. I Just Want a Lover – I just need a friend! No don’t be daft it’s not that song! Sad insecure Will is out the window in this song and in comes dominating, sexual Will! He sings ‘nothing sentimental, just satisfy me’ in an attempt to get over a heart-break. Another single possibility. Runaway – This song is very reminiscent of a Pet Shop Boys track. “West End Girls” springs to mind after the first ten seconds. Sometimes in this track it sounds like Will is pushing his falsetto to the limit if not a bit too far in places. Outsider – The word “Haunting” defines this track – and in a good way. Will’s vocals are given a lot of space in this track and he sounds brilliant. Silent Valentine –This isn’t one of my favorite tracks on the LP but I can imagine a lot of people listening to it around February the 14th! If you listen to the lyrics it conveys a powerful message about telling people that you love them. Losing Myself – This track takes us in a slightly more up-tempo direction and again is very synth-driven with a 80s vibe that is once again reminiscent of the Pet Shop Boys. I love the little light accents through this track. Personal Thunder – Wouldn’t this be a great title for an album? This is a song about fighting back and not letting yourself be contained. Unfortunately that drama and strength isn’t quite conveyed in the song. Hearts on Fire – If the beat behind Will’s vocals were a bit louder on this track it could be a proper dance track. Let’s hope there’s a remix of this at some point. Once again, this to me could be a single with the aforementioned treatment. Good Things – Sounds like a late 80’s/early 90’s track. Pretty amazing! I would love this to be released as a single but I can’t see the record company going for it – one of my favorites though! Get Will some shoulder pads pronto! Safe from Harm – Will actually spoke about this track recently and revealed it to be his most personal track on the album. It discusses keeping yourself safe from negative people by putting immediate distant between them and you. Sometimes the vocals stray to the edge of Will’s falsetto again but overall it’s another good solid track to bring the album to a close. Classy, soft, smooth and gentle are all words that can be associated with this album. Richard X has been brought in to great effect as the record producer. The album feels like a very natural step forward for Will and the electro-pop sound works very well with his vocals. I would have liked a little more ‘drama’ on some of the tracks achieved either through stronger production or vocals but as I said at the beginning of my review, this album flows through as a whole rather than as a “single driven” album. I would give the album a very solid 8 out of 10. I hope you’ve enjoyed this introduction to Will Young and that you enjoy exploring his music! Last, but not least, “Losing Myself” – a fantastic track off this album is getting 4-5 plays a day on Radio Creme Brulee.